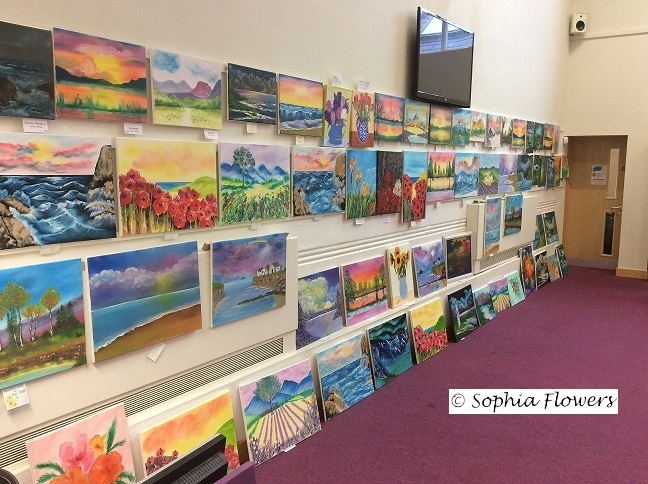 Last year, we held our first exhibition and were delighted when over 21 paintings were sold. There really is nothing like exhibiting your own artwork and experiencing the joy of knowing that someone has bought your painting that they want to hang on their wall. It’s a very humbling experience. Everyone is welcome. Entry is free and refreshments are available, together with a cake stall.